We’ve been busy at work crafting all sorts of beautiful jewellery and eternity rings. Here are just some of the jewellery pieces we’ve created. Being in the heart of Hatton Garden, we have fabulous jewellery pieces pass through our doors all the time, each one crafted beautifully. 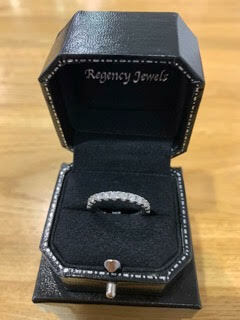 Whether it’s a bespoke jewellery piece or vintage ring brought in for repair, we love seeing and working with clients to create a memorable experience. Here is just a snapshot of some of the stunning jewellery that’s been through our stores, in particular, Regency Jewels. Another great bespoke ring we created for a client. 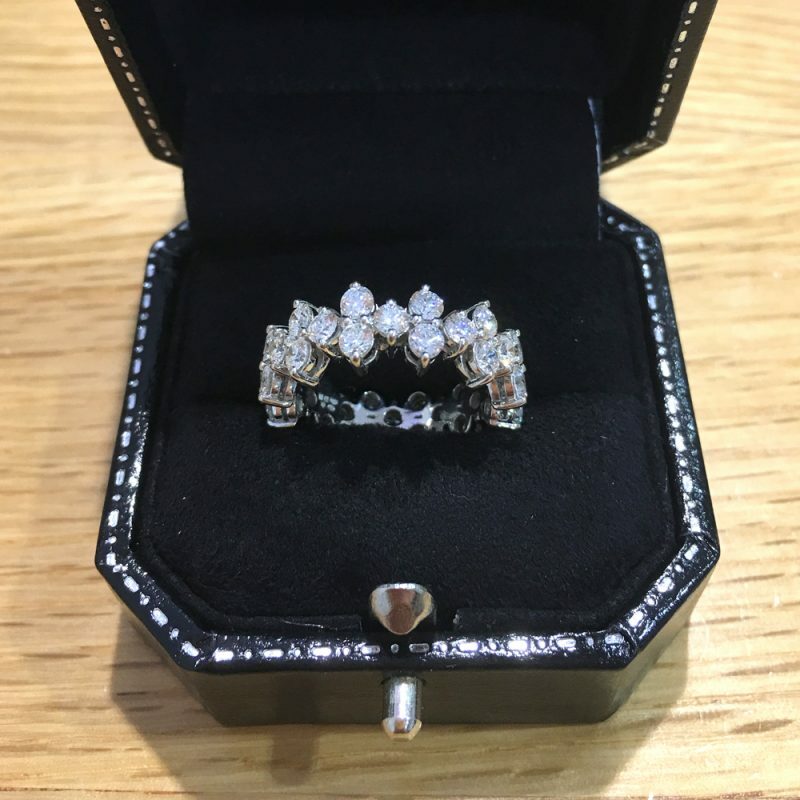 This is a beautiful channel set bespoke ring with a stunning row of diamonds. A channel setting is a type of mounting in which the diamonds are set into a channel made from two metal strips. The stones set in such a way form a row and can run along the entire band of the ring. Find out more on the ring in this blog post. Recently we had the pleasure of creating this bespoke wedding ring. This beautiful ring was a ‘His & Her’s’ matching set and made in 18ct White Gold. The ring also features two lovely rows of diamonds across the length of the band. Find out more on this ring in this post.